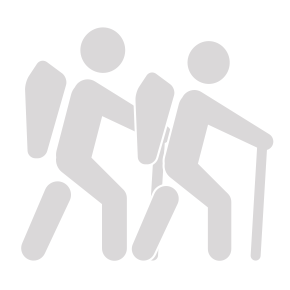 We have been training bushwalking leaders in South Australia since 1973. 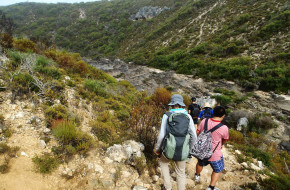 The Course is a requirement of South Australian Education Department when conducting day and multi day bushwalking expeditions. The course is also also matched to the VET training package for walking and is compliant with the South Australian and Australian Adventure Activity Standards. We are proud of our graduates great safety record and who are sort after by all outdoor industries. BLSA provide Day Leader and Multi Day Leader Courses through out the year. Day walk leader course open Now! April – May Bushwalking Assistant Course 1 intake open Now! July – August Bushwalking Assistant Course 2 intake open Now! More details soon. Follow facebook.com/BushwalkingLeadershipSA for updates. Some of the best wild places are well off the beaten track, and a long way from help. So it is useful to be prepared before you go. The purpose of these pages is to get some basic facts & information together so you can get outdoors and get involved in ‘better bushwalking’. Consider the impact of bushwalking and camping on the environment, and its resources. View the checklist, and read about the impact of campfires.